As previously reported, UNBOUND has been tapped for a screening at the Austin Arthouse Film Festival in Austin, TX, on October 20. 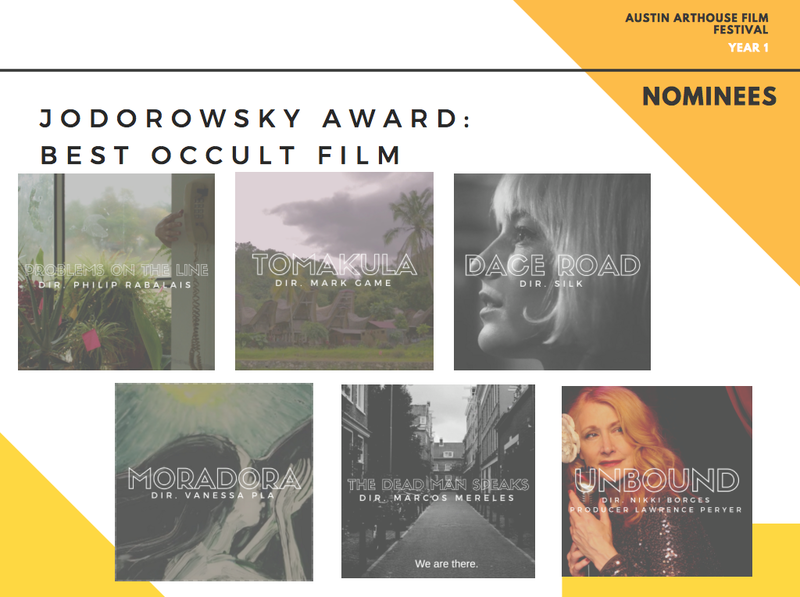 The Deren Award for Dreamiest Film is named for Maya Deren, a pioneering avant-garde filmmaker who also worked in dance, photography and letters. 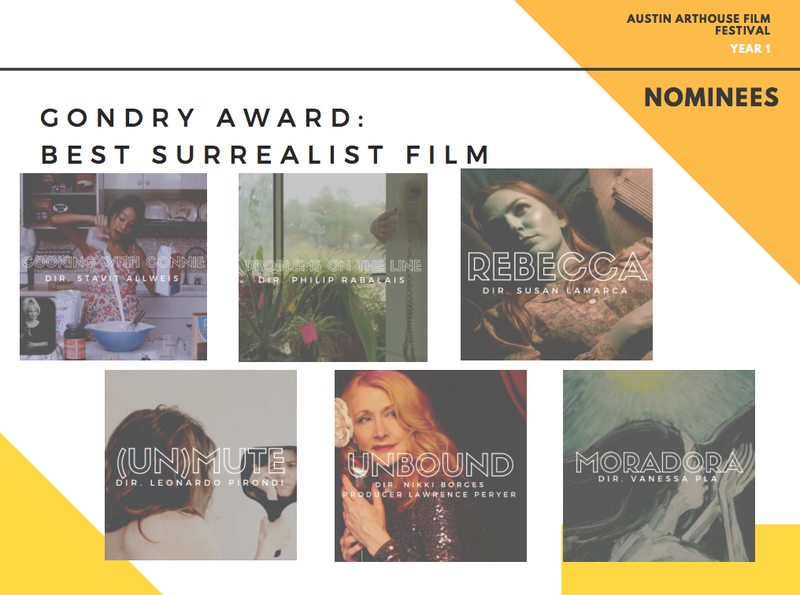 The Gondry Award for Best Surrealist Film is named for Michel Gondry, the Academy Award-winner directory of Eternal Sunshine of the Spotless Mind, who, in addition to his notable film work, has directed scores of music videos and commercials since the 1980s. 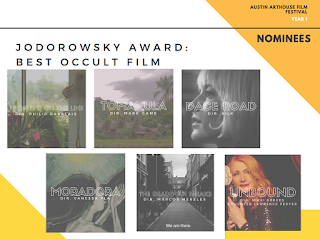 The Jodorowsky Award for Best Occult Film is named for Alejandro Jodorowsky, the acclaimed and controversial writer and filmmaker. 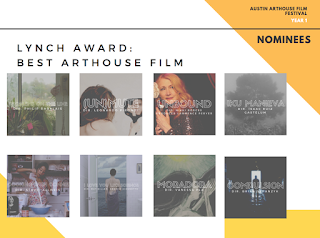 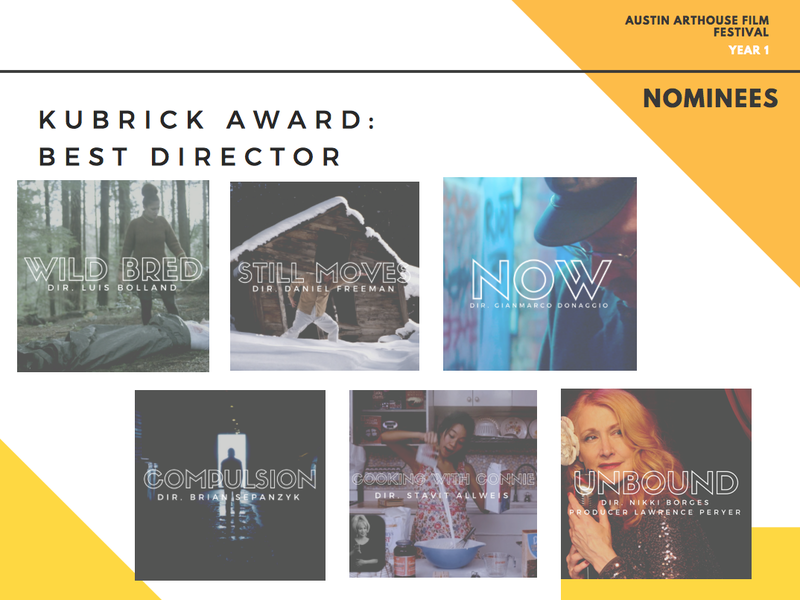 Finally, the Lynch Award for Best Arthouse Film, named for David Lynch, the multi-hyphenated artist primarily known as a director. 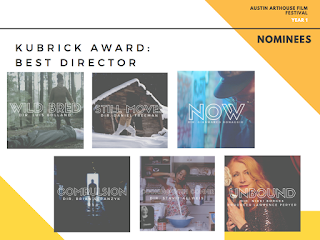 Learn about all of the awesome nominees and get tickets for the Festival here.